Music is an essential and exciting part of our worship at St Andrew’s. 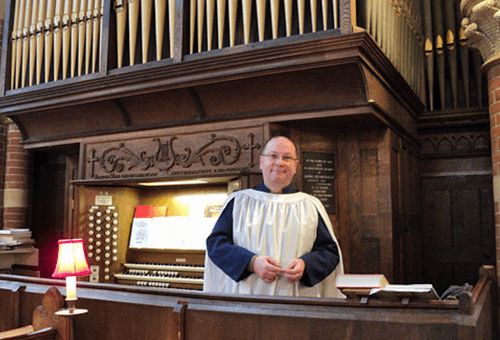 The fact that we have a robed choir and that we belong to the modern Catholic part of the Church of England doesn’t mean that we’re old fashioned in our use of music in worship! We believe that our worship should be modern and relevant to the realities of contemporary life but that it should also reflect something timeless and transcendent. This is why we are more than happy to use any styles of music from Tallis to the modern worship songs in our hymnbooks. The only proviso we have is that the words and music should be of a good standard and not dreary or twee! One of the things that can often make a genuine impression on visitors to St Andrew’s is the way in which people are genuinely encouraged to become involved in our choir or in our church orchestra/music group. Our Director of Music, Lee Halford, is someone who is passionate about giving people a chance to enjoy music and explore their own musical gifts and potential. The result is both serious and fun, with young, inexperienced voices or instrumentalists being welcomed and genuinely encouraged by experienced and, in some cases, professional musicians. 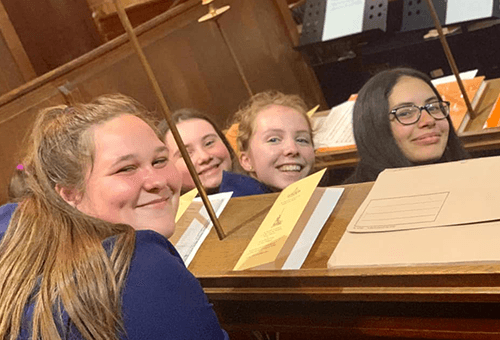 All members of the choir receive training in both singing and in reading music: the RSCM training schemes are used, and all our young choir members are encouraged to take RSCM, local, diocesan and national awards. In the same way everyone is welcome to join the Church orchestra which plays during our monthly All Age Eucharist, with the Director of Music writing different parts for people according to their individual abilities. Firstly, can I thank all members of both the Choir and Orchestra/Music group for your continued commitment to the Music Ministry, especially when I am away on holiday. It is a privilege for me to be able to lead such a group, knowing that you are all so supportive of what we are doing in God’s name. Please make sure that you look at the Future Events and Practise Dates and make a note of all the dates in your diaries now! PLEASE LET ME KNOW IN GOOD TIME if you are unable to attend a practice or a service, either by phone or by e-mail. My phone numbers and e-mail address can be found below. Please do not leave it until just before the practice or service to let me know, unless it is an absolute emergency. It is not fair on the other members of the choir/orchestra/music group if we have to abandon the performance of a piece of music on the day of the performance because of an unnecessarily late notification of absence, or a totally un-notified absence. Please try to arrive at church in good time for practices in order that we can be ready to start promptly. It would be good if we could all try and arrive at least 10 minutes before each service to enable us to pray together before we start each service.